RV's must use the commercial gate (Mississippi Gate - open 24/7/365). Take I-225 to E. Mississippi Ave. exit #7. Go east for about 3.1 miles to the commercial gate on the left (S. Aspen St.). You will not have to go through the inspection shed if you possess a current military ID. Once through the commercial gate, continue on Aspen Street for about 1.75 miles (almost back to the main gate). Turn right (east) onto E. Steamboat Ave. Go about 1 mile to the campground on the left. Check-in is at Outdoor Recreation, Bldg. 1022. You'll see Outdoor Recreation on the right, soon after going through the Mississippi Gate. Reservations are taken 60 days in advance for active duty, reserve and guard members. 30 days in advance for all other eligible users. First night payment is due at time of reservation and is refundable up to the day before check-in. Cancellations and no-shows on the day of check-in will forfeit the first night payment. Upon arrival check-in at Outdoor Recreation, 538 South Aspen Ave (Bldg 1022). Be aware that there is very little room for large trailers or motor homes in the parking lot. There is a drop box at the FamCamp service building if you are staying for just one night and arrive after business hours. Reservations can be made in advance by calling Outdoor Recreation at 720-847-6100. WiFi service is not guaranteed. If available, it is included in the nightly rate. Pets are welcome at the Williams FamCamp provided their owners pick up after the animal and the animal does not pose a threat or create a nuisance for other campers. Pets may not be left outside unattended, in or around vehicles. Pets are not permitted in the laundry or bathrooms. Outside, pets should be leashed at all times. 3 ADA sites available. The mid rates are for low season (Nov 1 -Mar 31) when water is working. The high rates are for April through 31 October (when water is working). Eligible guests may stay a maximum of 45 nights. November through 31 March, eligible guests may make a reservation not exceeding 30-consecutive nights. On the day before the existing reservation expires, customers may extend up to an additional 30 nights. The lake by the campground is not stocked and there is no fishing allowed (there's no fish). However, there are walking trails around the lake. This NEW FamCamp was opened on April 2012. 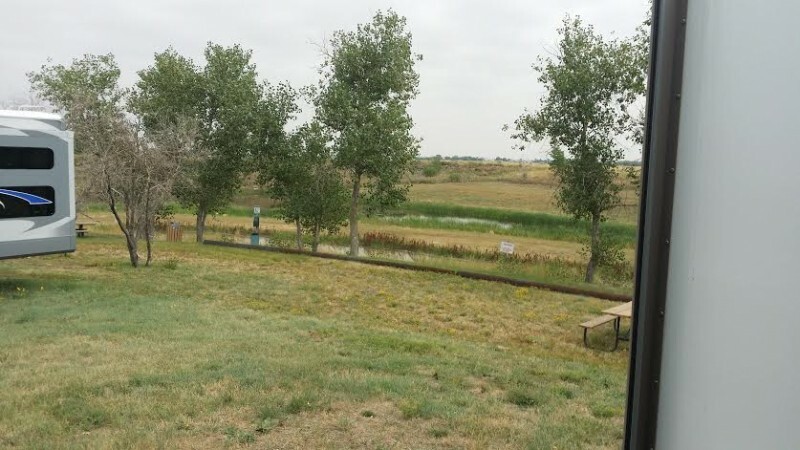 The FAMCAMP is sited adjacent the base's outdoor recreation area which includes a lake stocked with trout and other native species. 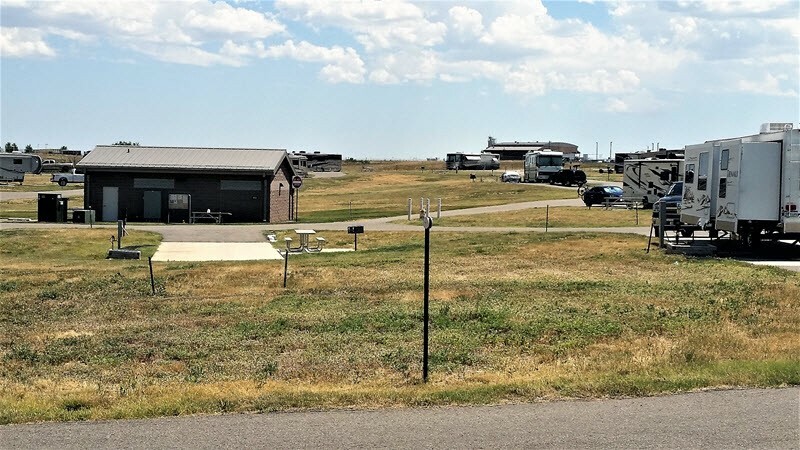 The facility will provide a unique opportunity for travelers on their way to bigger vacation areas and to those that want to visit base personnel while staying in a campground setting. Operating Procedures and rules for Williams FamCamp. We called on morning of October 3, arrived that afternoon. We were told to pick a site and check in the next morning. Sites are first come first serve. The sites are large, not real close to others. 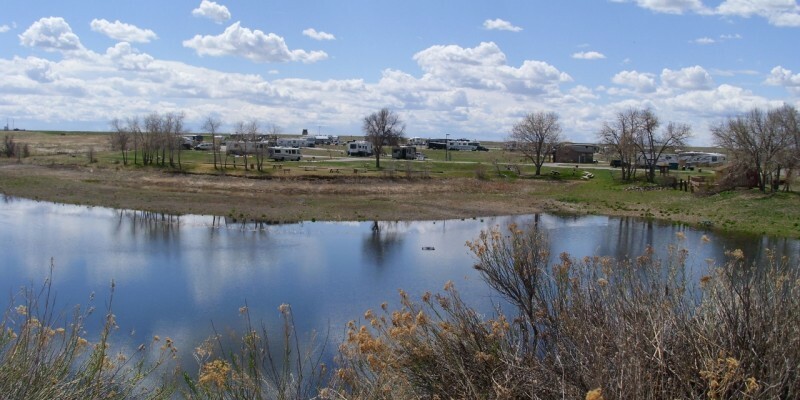 Very nice campground, we have a 42 foot fifth wheel, a large pickup and plenty of extra room. Plan on staying a week, to site see from there. Would definitely come back again. I arrived on a Sunday without a reservation. This is the only day of the week that the Outdoor Recreation Center is closed. As I pulled in at Williams FAMCAMP, the skies let loose with a rain and hail storm. During the storm, the campground host drove her car over to where I was parked and told me there was one spot left and that I could have it for the night. What Great Service! I decided to stay one more night and arrived at Outdoor Rec when they opened in the morning at 9am. They were extremely friendly and were able accommodate my request. I was able to pick up my friend arriving at Denver's International Airport with ease and see some of the sites in Denver at the same time. 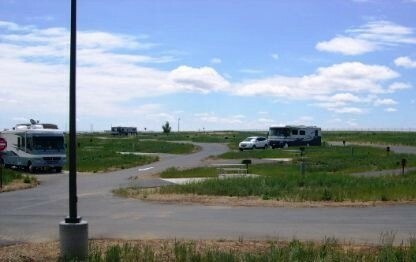 This is a very nice small RV park and Base and worthy of a visit. As someone pointed out, its a good deal for the area. Its also like a little island of country amidst this big metro area with widely spaced concrete sites in a grassy field. And, having water now makes longer stays easier. But all the comments about site reservation/occupancy are correct. It really helps to have stayed there previously to understand how it works. The outdoor rec folks are nice enough but they aren't there. The camphost(s) are really low profile. I think the back-in sites are ok for big rigs. All sites have water hook ups which I guess they didn't this past winter. There's no playground or place for kids to play so they just run around all over. 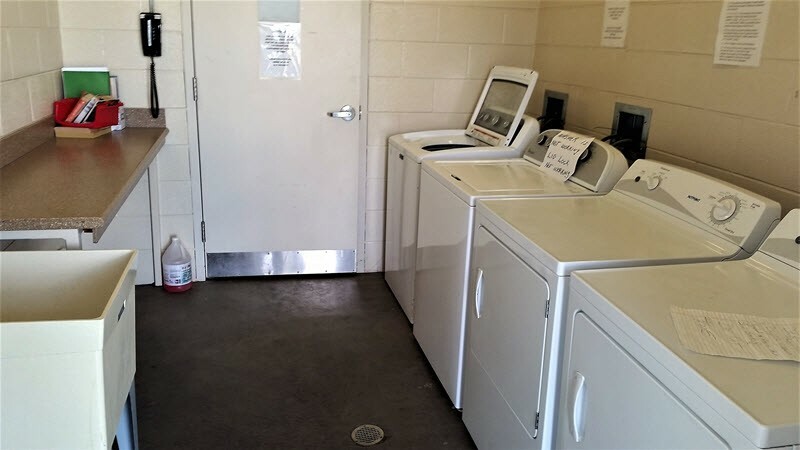 The laundry facility was pretty small for this size camp and it was hardly ever available. It didn't seem like people picked up after their dogs much even the hosts didn't. Not that we saw them. The wind can be pretty bad and it blows trash everywhere that no one will go pick up. It didn't seem like many people were out and about even on nice days. Outdoor recreation really doesn't give much thought to this place. It was very odd. We tried the commissary, but found it lacking in many ways. Prices were high, shelves were bare, produce was awful. For the price it was okay, but I don't think I will come back. Informational purposes: we arrived here just before the new year. Only 8 sites were without water and the famcamp was nearly full. By February, all sites had FHU services. Can’t beat the location, and access to base facilities such as the gym, commissary, exchange, gas station, car wash, auto repair shop are just literally down the road. Again, all sites are @ 100%. I too didn't count on the water situation nor was I informed when making my initial reservations. Fortunately, we had enough water in the tank to get through our short stay. Subsequently, every time I had contact making and changing other reservations I was asked if I was aware of the issue. Speaking of reservations the system seems to be very much in flux - when I first reserved I was told I could take any open back-in. Then on arrival I was told that was old news - the reservation system no longer distinguished between back-in and pull-thru, now any open site was available to me. Then when checking in for my most recent stay I saw a sign indicating because of the hiring freeze reservations would no longer be taken. Gotta be flexible for sure. But it is a good, clean, quiet, well kept park and at $12 you can't beat the price for the location. There is water available at a water point (hydrant) on the first row - tank up when going in. CAUTION! 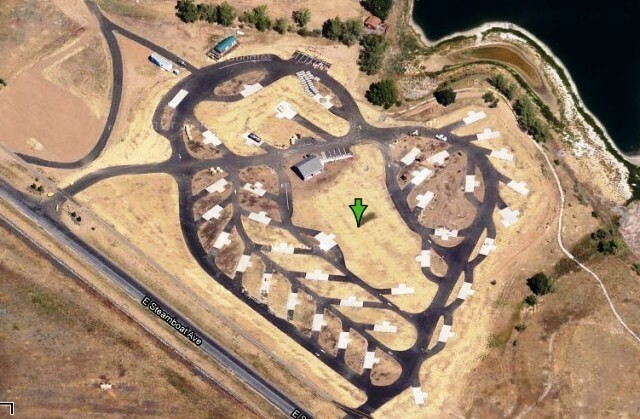 This military campground has no water. The water system has been down since August 2016 and I was told there is no money in the CE budget to make the necessary repairs. I was told by the camp host that the underground valve for the shore water spigots are defective and each one will need to be dug up and replaced. The camp host and the assistant host are the only campsites with water. To get water you have to relocate to one of those sites and full your fresh water tank. We made reservations for a 20-day stay a month in advance. No one mentioned there was no water in the campground. We arrived, selected our campsite and turned on the water—nothing! I went to the office and they apologized for not telling me in advance. They refunded my deposit and we scrambled to get reservations in Fort Collins instead. Bummer! I checked with this website at the time I made my reservations and read the August 20 post about the water being off for 30 days. Naturally, I thought the problems had been fixed since there were no other posts since October 2016. Now I have learned to inquire about problems of this nature before making my reservations and not assume it is repaired. This is overall a good facility; very much improved management since the previous year before when the reservation system was a disaster and many permanent squatters staying long as they wanted with no room for those with reservations. Communication between the camp host(s) and outdoor recreation seems much improved. 45 day is the maximum stay limit for the entire summer season (before Oct 1) which is better for all concerned. The best part is the convenience to Denver and to the Rocky Mountains. A few more shade trees for the hot summer heat would make this a first class facility. Restrooms and showers are cleaned daily and laundry is free. The water problem is not a simple line break. It is an engineering problem that takes more time and money to fix. Wifi: They have the best solution to wifi that I have encountered. For a refundable, upon return, $50 deposit, they will loan you a Verizon jetpack (hotspot) with unlimited data. This is a good deal!! There are no off set barriers at the Mississippi Gate and the coord are correct. The parking lot for outdoor rec is small. We drove to the famcamp and spoke with the host. He explained about the water problem but showed us where we could fill our rv tank, up the hill. After picking a site we drove to outdoor recreation and checked in. The price was $10/night because the issue, so we truly felt compensated. We are experienced travelers on the go and passing through many places. If you're looking for a resort for entertainment or can't work with (stuff happens) go somewhere else and pay those prices (at least $35/night).As a matter of fact the last couple of nights we were on the other side of town, Standley Park for $19/night with NO electric, water or dump! Thankful Buckley had a place for us to stay. Wow, I'm really disappointed. I'm not even there yet for my 9/1 reservation and received a voice mail stating that ALL of the water to BAFB Famcamp is off and would likely be for 30 days. I'm beginning to regret the rave I wrote last summer when I left this campground. It's hard to imagine how the camp hosts could have a good experience living and working there if the base leadership regards their residential water source as this optional. In a military housing area, CE would be up all night fixing a water leak because PEOPLE MUST HAVE WATER. It's a quality of life issue, and commanders know this. When I phoned, I got a b.s. "I'm just doing what I'm told, ma'am." from the MANAGER. That's pathetic, inexcusable, and unacceptable. It *speaks volumes* about the relationship between MWR, the FSS and base commander, and civilian contractors. Whether it's a civilian company or a military base, if you make care of your people a low priority you should expect misery and concomitantly low morale across the base. Missions fail when you treat people this way. You can do better; you are taught leadership principles. USE THEM! It's not just that the camp hosts work hard to take care of people there with little thanks and poor resources, it's not just that the MWR staff are made powerless to resolve issues because they don't have the infrastructure or autonomy they need, it's not just that the Famcamp is used by veterans who deserve excellent care, it's that YOU'RE NOT PAYING ATTENTION TO WHAT MATTERS. SHAME ON YOU. I'm very much hoping that I get another voice mail telling me, "Ma'am, we're glad you're coming to our Famcamp because your site fees provide a high amount of revenue to our FSS programs, which in turn support the military families and the mission they fulfill here at Buckley AFB. So we got that water break problem fixed for every site ASAP, and we're ready to welcome every veteran and AD camper who will come to our base and feel a part of our community!" C'mon. It's obvious this is about leadership failure that begins at the top. Poor management. Arrived a noon. Drove my car over to Bldg 1022. Had a reservation for a week, made with the management in Bldg 1022. Was informed I couldn't check in until after 1400. It was implied that we should leave and come back later. We watched this confusion with check-in go no throughout the week with other campers. This could be a nice FamCamp if managed properly. 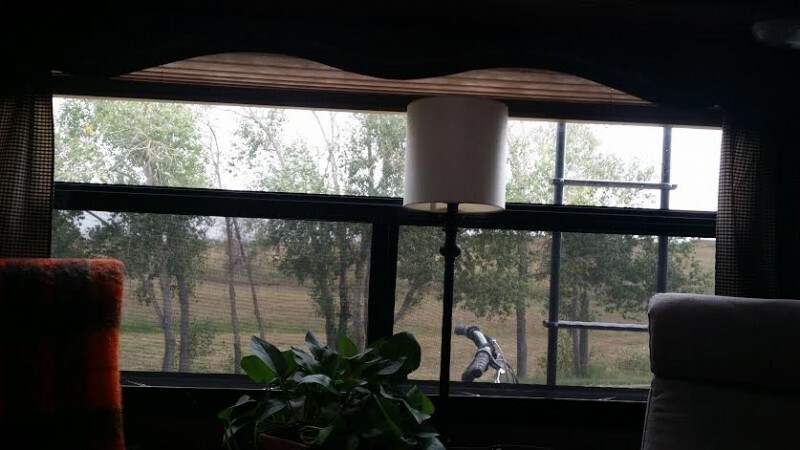 The folks next door decided to go to another campground after their first few days. Best to avoid this FamCamp. We just spent 3 weeks at Buckley Famcamp, and enjoyed our stay. 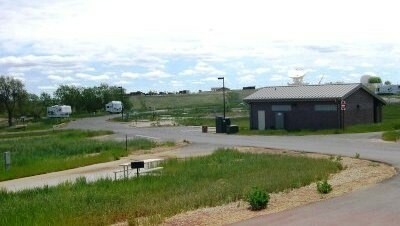 The Famcamp is located away from the city and majority of the base with quick access to the commissary and BX. It is quiet except for the "sounds of freedom", F-16s, taking off and buzzing the runway which is located right across the street. Don't get me wrong, we loved hearing and seeing them and took many great pics! Free laundry, 2 washers and 2 dryers. Bath/restroom facilities appeared clean, we did not use them. When you check in you can borrow an unlimited WiFi, $50 deposit, that is returned when you return the WiFi. It worked great! Sites are level. Although there were some families with children in the Famcamp they were quite and not bothersome, no bouncy houses. Over all we really liked this campground and will use it again if we return to the Denver area. 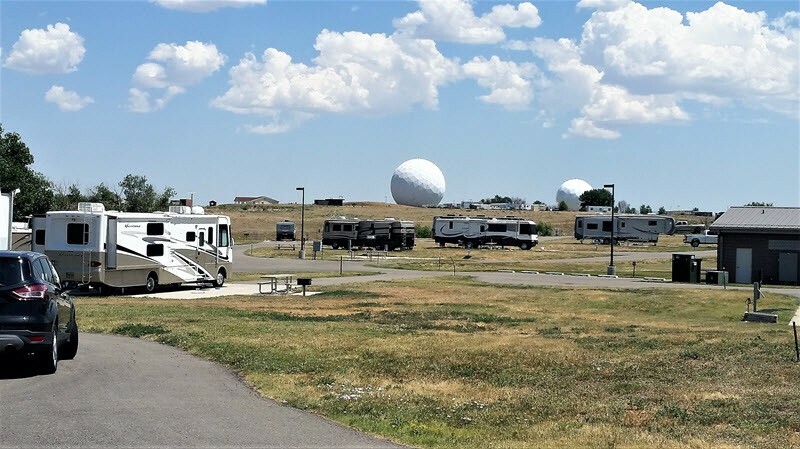 Now the not so positive: the campground is run by MWR and has NO emphasis placed on it from the base/MWR commanders consequently MWR pays no attention. There were 5 sites with broken water pipes that have not been repaired and no one shows any signs of wanting to repair them. The streets within the Famcamp are narrow, not enough maneuver space when you must turn corners, as evidenced by the mud on the roads and ruts in the grass areas. At least one site is all but impossible to get into even with a trailer due to the sites positioning and the narrow roads. The Famcamp sits on a hill and many of the sites are low, when it rains they retain water. Mowing happens only before holidays so the grass was high, due to all of the rain. They mowed just before Memorial day weekend and brought a street sweeper in and cleaned off the interior roads. What a difference! Do not trust your GPS, even with the coordinates listed, ours took us to the 6th Street gate. Call ahead and get the physical address of the Mississippi gate, much easier to maneuver! The gate guard was super about allowing us to go through and told us that 18 wheelers came through all the time. The off set barriers ~ once you get through the gate can be maneuvered but not easily. With a little emphasis from the base/MWR commanders this could be a 5+ Famcamp! Camp host is active duty and his sight is his home. The bounce house he rented with teenage girls screaming and yelling for all to hear shows this. They over booked again we were lucky someone left early. Two sights wear OOC due to water problems that no one is fixing to fast. Great location, great value, nice sights. Someone needs to get better hold on reservations and just common sense management. Reading many reviews show no one's in a rush. Best AF FamCamp experienced. Outdoor Recreation was very accommodating, as well as the camp host. We shortened our stay from 7 to 6 nights, so to depart prior to a late winter storm ... 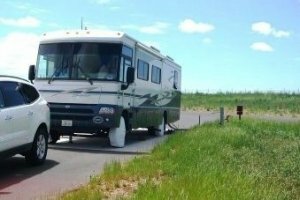 Outdoor Recreation refunded our 7th night without incident - not typical for most RV parks. Only two washers and two dryers in the laundry room, but machines are free and work well. The FamCamp is isolated from the rest of the Aurora area, providing a pleasant illusion of getting away from the city. 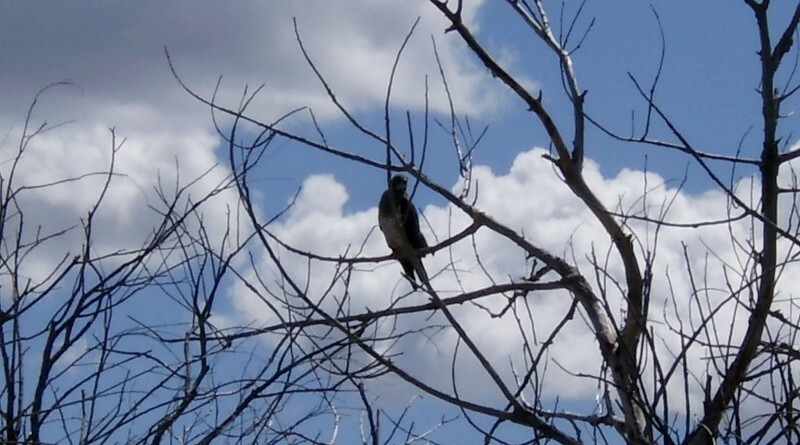 This time of year there are plenty of birds: Western Meadowlarks, American Robins, and even hawks. If space is available, we will definitely return, next time traveling through this area. I do not agree at all with docholliday's review. This Famcamp has a friendly atmosphere and a fair reservation system. 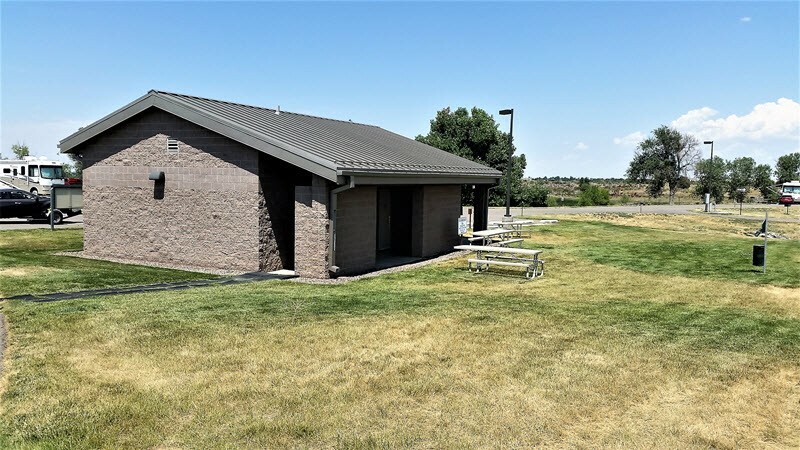 It is unfortunate that some campers do not realize before they arrive that they need a reservation in the summer months and arrive expecting to find an empty space--it is just not possible to accommodate everyone with only 38 spaces available so you need to call ahead. While it is true the camp host is not available 24/7, but I don't believe they should be expected to be nor do I believe it detracts from the overall management of the campground. We found the camp hosts to be available more often than not. Campsites are cleaned and prepared for the next camper as soon after they are vacated as possible. 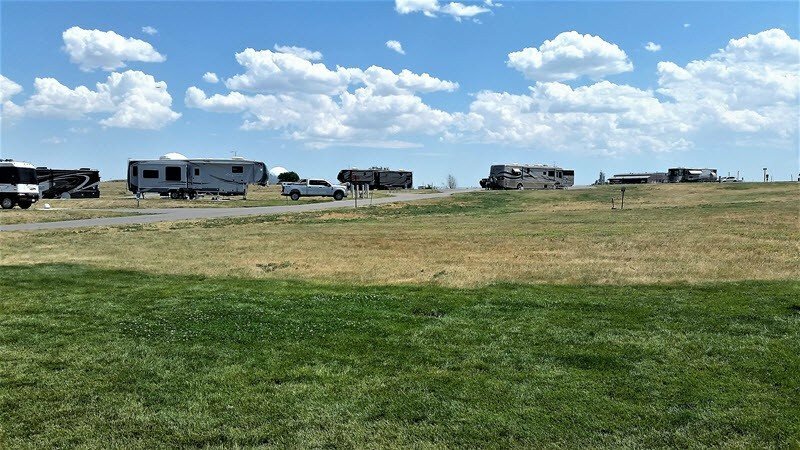 It may also be inconvenient for a large RV to not have a pull-through site available, but no one pays more than another for a premium site so first-come-first-served is how it is. When larger sites become available, the camp host is happy to assist the larger rigs move to a preferable site. If this is not acceptable, maybe this is not where you want to stop. All staff make every attempt to accommodate as many campers with their preferences as is possible. Very pleasant stay and highly recommend this Famcamp!